Angelica Rodriguez, ASU junior in business management, poses outside of the El Concilio office in the Memorial Union at the ASU Tempe campus on Thursday, Sept. 8, 2016. In an effort to eliminate cultural stereotyping, El Concilio strives to build a positive environment where Hispanic students are comfortable to express themselves within the community. “We try to steer away from all the stereotypical things that people see us as, but more or less educating people on what our culture really means to us and why we’re so proud of it,” said Angelica Rodriguez, business management junior and president of El Concilio. Rodriguez said a major goal for members of the club this year is to advocate, celebrate and educate as many people as possible about their culture. She explained that pushing the educational and awareness portion of their programming is crucial to boosting awareness of the Hispanic culture. She plans to help others learn more about the Hispanic culture by finding dynamic ways to engage the student population. “We really want to be inclusive; we want to create a learning environment especially with everything that’s going on with the political year,” Rodriguez said. A particular plan El Concilio is working on is collaborating with the ASU Programming Activities Board, Undergraduate Student Government and Residence Hall Association this year to expand their involvement on campus. “We’re extremely thankful to them because they have been so responsive to our outreach, and they’ve helped out a lot with the operational aspects of what we do,” Rodriguez said. According to Rodriguez, through their partnership with these organizations, they now have a direct connection to freshman students in dorms who are looking to get involved but are overwhelmed by the diversity on campus. Luis Martinez, vice president of El Concilio, says that part of being advocates and educators is to emphasize the role of events and programs to help students become involved in and better understand the Hispanic community. “We try to engage not only freshmen, sophomores, juniors and seniors, but faculty, staff members and the outside community members as well,” he said. Hector Trujillo, El Concilio’s programming director and global health sophomore, believes building those relationships with RHA is essential because not many students know about the different cultural clubs on campus. “When I came to ASU my freshman year, I definitely felt a little lonely, but it wasn’t until I joined Tau Psi Omega Fraternity and El Concilio that it became a lot easier to be at ASU,” Trujillo said. Martinez also emphasized the different member organizations and how they help El Concilio grow by celebrating the diversity of the community. “It’s a collaboration of not just El Concilio, but also member organizations under us such as ASU Womyn’s Coalition and the Rainbow Coalition, who created events and programs specifically geared toward celebrating the culture in their own way what we represent,” Martinez said. Rodriguez’s main concern is to stay away from the stereotypes placed on Hispanics. “One of our main things is to be more than a label; we really want to push that through our programming and say ‘we are not this type of stereotypical culture that everyone says we are,’” she said. Rodriguez said ultimately, El Concilio works toward a better future for the Hispanic population: “We are no longer representing us, we’re representing so much more. We’re representing a generation where we’re bicultural and bilingual." 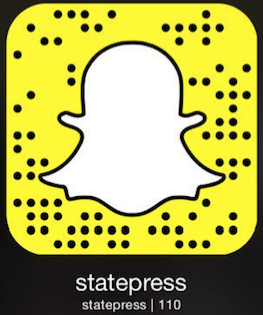 Reach the reporter at sctruong@asu.edu or follow @shawnatruong_ on Twitter.